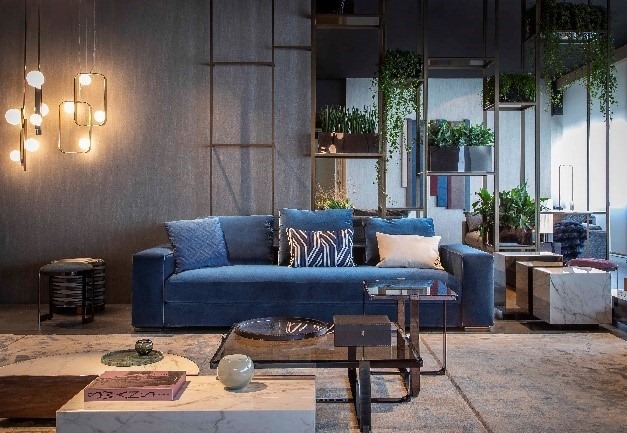 FENDI Casa production of 2018 The new One sofa is a synthesis of stylistic rigour and contemporary. The cushions with their large proportions are defined by a continuous seating system. The backrest, in line with the armrests, is enriched by a series of rollers, aesthetic and functional details. While the base is characterized by side metal elements.